Truth exists. Only lies are invented. I am in the studio, looking at a new larger painting on my easel that is nearing completion. The words above Braque clang around in my mind as I look at it. The painting is strictly an invention, a representation of a nonexistent place. The painting is a true expression of my emotion and existence. That place represented on the canvas exists within me. And maybe within others who see its symbolic truth. 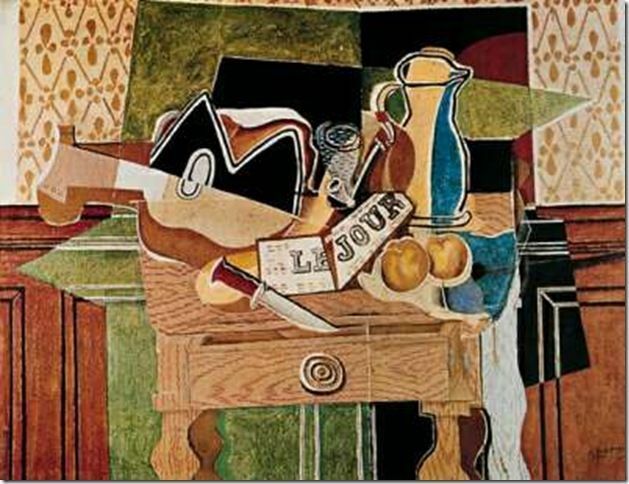 But I think I know what Braque means with his words. I have some paintings in the studio that I know are lies, not done with honest emotion. They aren’t necessarily bad. In fact, a few have a shiny appeal and have an appearance of truth in them. But there is something just a bit off in the way they come across to me, like hearing the words of a well constructed lie that you know in fact to be untrue. And if that feeling comes across to me, it no doubt does the same for some others, as well. Not everyone. Some people don’t want to look beyond the surface and are willing to accept the lie before them because it somehow fits their own needs. For them, it is an acceptable truth. It is a useful lie that serves a purpose to fill their personal need. Well, at least it’s okay in the realm of art which is based on personal and subjective preferences. In other aspects of this life, I think we are finding that this casual acceptance of invented lies can have dire consequences.